Genetic testing is a fascinating and provocative aspect of medicine today as it has implications for our some of our most pronounced human experiences: life, death, reproduction, parenthood, familial bonds, and one’s mortality. It can hold profound effects for the person being tested and it may raise a plethora of issues which they are not ready to face. It is understandable why some people are reluctant to be tested for some genetic disorders such as Huntington’s disease for which there is no cure. What many people fail to recognize is that genetic testing for particular genetic mutations may save their lives if they are vigilant with their lifestyles and screenings – such a diagnosis does not necessarily entail a death sentence. Genetic screening serves two purposes: first, to detect the predisposition to a disease in order to provide the patient with the appropriate medical care and screenings, and second, to identify carriers in order to counsel them on the reproductive consequences of a specific gene mutation. Genetic counseling coupled with genetic testing may provide you with immeasurable relief by reducing uncertainty; it can allow to make specific positive changes to one’s lifestyle in order to improve one’s health to prevent a particular issue; it can encourage one to be proactive against cancer by having prophylactic surgeries; it can provide one’s physician with information which could dramatically improve one’s medical care in order to increase one’s chances of surviving a deleterious gene mutation; but more importantly, genetic testing may save one’s life and the lives of others within one’s family. Yes, knowing you hold a deleterious gene mutation can be emotionally taxing. One cannot really prepare for the emotional tsunami which may follow a diagnosis of a deleterious gene mutation such as Lynch syndrome, BRCA, and a swath of others, especially when one is being diagnosed under the age of 50. Initially such a diagnosis it is not easy to reconcile – one is forced to confront one’s mortality and death anxiety may arise as a result -- something most people do not consider until they are older. As a patient advocate for those with hereditary cancer syndromes, I speak to many people who suffer from tremendous anxiety after they are diagnosed. Unfortunately, much of this anxiety could have been reduced had they consulted with a genetic counselor prior to and following genetic testing -- the uncertainty which surrounds such a diagnosis can be paralyzing. I believe genetic counseling should be involved from the beginning. People need help comprehending and processing the biological and emotional implications of having a deleterious gene mutation. A genetic counselor is there to assist you with alerting your family members who may also be at risk. 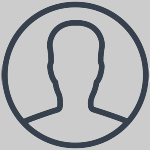 The issue is that each family’s medical circumstances are unique and complex. There are many cultural factors to be considered in regards to testing and not everyone will respond to genetic information the same way. Being genetically predisposed to cancer or actually having cancer is viewed as a stigma in some cultures. Furthermore, there are a plethora of other issues which may determine whether or not one gets tested: race, socioeconomic status, education level, marital status, etc. All of these factors are highly important when discussing genetic testing because the notion of “one size fits all” approach is not always appropriate. These various factors may determine whether or not other family members will consider genetic testing. I often encourage people to find out a genetic counselor, a psychologist who may specialize in those with genetic mutations and also seek a psychiatrist for medications to help alleviate some of the anxiety and depression, which they may experience. Of course, the frequency of these therapies will vary greatly amongst individuals as all individuals are unique. Your life is not your own, especially when you are a parent. You owe it to yourself, to your children, and to the rest of your family to know whether or not you have a hereditary cancer syndrome. Besides, you may be saving many other lives besides your own by alerting them to the possibility that they may be carriers, too. 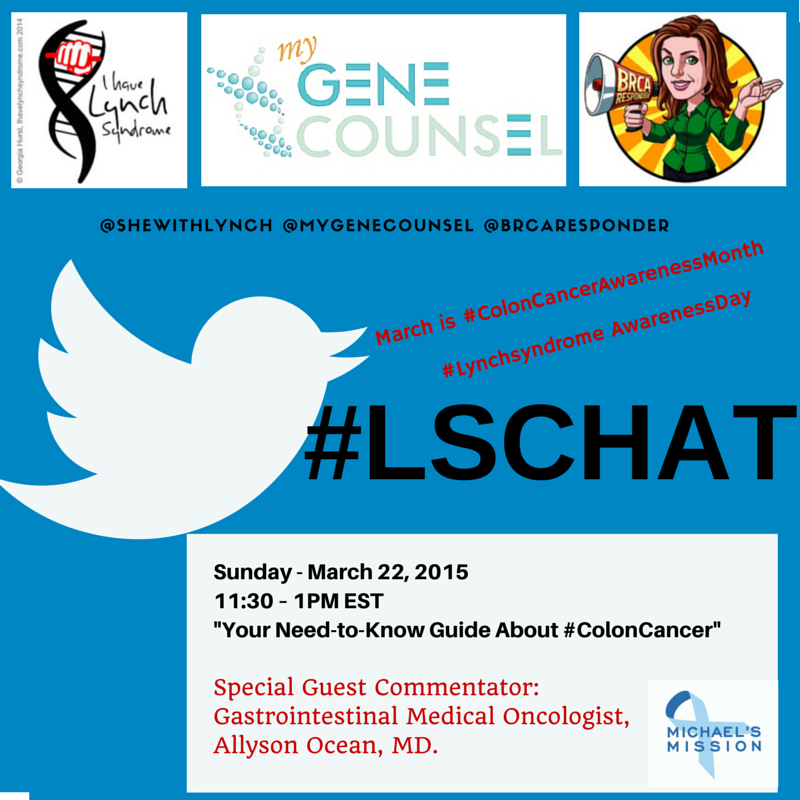 In honor of my brother Jimmy who died from colon cancer due to Lynch syndrome and Lynch Syndrome Awareness Day on March 22, 2015, I, along with genetic counselor Ellen Matloff and Amy Byer Shainman will be hosting our third #Lschat on Twitter this Sunday discussing "Your Need to Know Guide to Colon Cancer." Our special guest commentator is Allyson Ocean, MD. We hope that you can join us at 11:30 AM - 1 PM EST. What a fabulous article - one that will certainly help others who are thinking about getting tested or have recently been tested! I wish I knew about getting a genetic counselor when I was first diagnosed. It's wonderful to see Lynch Syndrome "in the news" and I hope to continue reading about it in the future!